Readers have long been asking for a monthly feature with picks for the best things to hear in the month to come. It is the sort of piece I have often written for other outlets, and now it will run here instead. My goal for this Classical Music Agenda is to have the widest possible awareness of what is being performed, from which only the most promising performances, no more than ten, will be selected each month. As noted earlier this month, Pope Benedict XVI has announced his plan to make clear and final the canonization of Hildegard von Bingen, the medieval abbess, mystic, and composer. Celebrate this most unusual woman, who will also be given the title Doctor of the Church, with a concert of her music by the outstanding vocal quartet Anonymous 4, joining with the period string players of the Folger Consort. 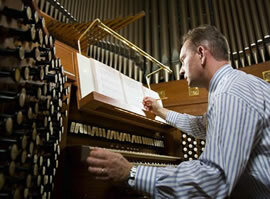 The program also includes later medieval pieces by the composers of the Notre Dame school. January 6 and 7, 8 pm, in Washington National Cathedral, where the listening experience will be better the closer you are to the performers. Tickets: $30 to $50. 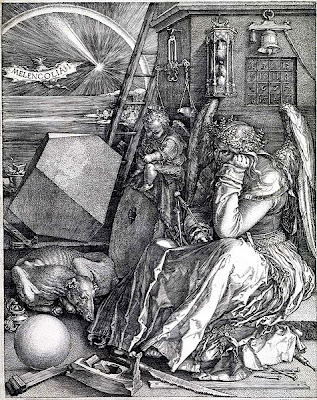 We have long been admirers of the playing of viola da gambist Paolo Pandolfo. You should not pass up the chance to hear him play at the Library of Congress, in a program that will combine music of J. S. Bach and the lesser-known Carl Friedrich Abel. January 28, 2 pm. Tickets: Free. A recommendation for a trip to Baltimore does not come easily, but the concert by the Canadian HIP ensemble Les Violons du Roy at Shriver Hall, the only one in our area this season, is worth it. The program features music by Handel, Telemann, Sammartini, and Geminiani, with recorder player Maurice Steger as soloist. January 29, 5:30 pm. Tickets: $38. 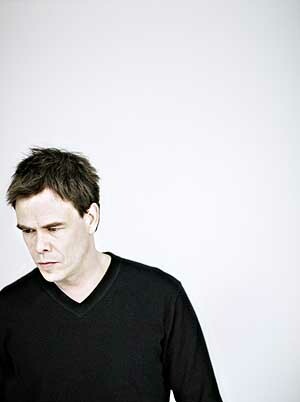 Hannu Lintu's recent appearances with the National Symphony Orchestra and Baltimore Symphony Orchestra have been highlights of past seasons. The Finnish conductor returns to the NSO this month, with the added incentive of firecracker violinist Leila Josefowicz, to present Steven Mackey's violin concerto Beautiful Passing. Also on the program are a set of Debussy's preludes, orchestrated by Colin Matthews, and Sibelius's fifth symphony. January 12 to 14, Kennedy Center Concert Hall. Tickets: $20 to $85. Christoph Eschenbach also offers a striking program with the NSO later this month. Jörg Widmann will serve as soloist in Mozart's golden clarinet concerto, as well as offer one of his own compositions, Armonica, featuring Christa Schönfeldinger on the glass armonica, the zany instrument featured earlier this year in Lucia di Lammermoor. January 26 to 29, Kennedy Center Concert Hall. Tickets: $20 to $85. Most of Opera Lafayette's performances recommend themselves, and even when they might disappoint it is still worth hearing lesser-known operas. Such is the case with this month's staged performance of Pierre-Alexandre Monsigny's opéra-comique Le Roi et le Fermier, which receives its modern-day premiere, in preparation for the company's debut in February at the Royal Opera in Versailles. January 20, Atlas Performing Arts Center (tickets, $20); January 21, 7:30 pm, in the Kennedy Center Terrace Theater (tickets, $65 -- SOLD OUT). I had the chance to speak to violinist Joshua Bell earlier this month, about his upcoming WPAS recital, with pianist Sam Haywood. He was quick to confirm that he will not be performing incognito in the Metro this time, and for the rest of what he said look for an interview piece here later this month. Although I characterized his program as following his typical Romantic bent, Bell sees it as contrasting classical impulses (Mendelssohn and Brahms) with Romantic ones (Ravel, Ysaÿe, Gershwin). January 23, 8 pm, Kennedy Center Concert Hall. Tickets: $45 to $115. In the dance slot this month, among a few excellent choices, is the outstanding choreography of Handel's L'Allegro, il Penseroso ed il Moderato by Mark Morris Dance Group. 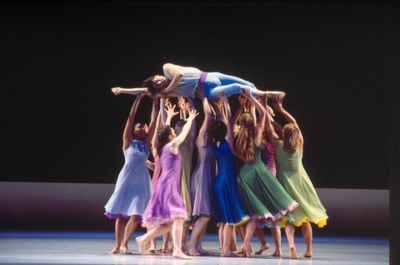 Morris's dances are always carefully matched to the music they set, performed live in this case by the Kennedy Center Opera House Orchestra, choral singers from the Washington Bach Consort, and four fine vocal soloists. Not to be missed. January 26 to 28, 7:30 pm, Kennedy Center Opera House. Tickets: $19 to $69. The National Gallery of Art is reopening its 19th-Century French Galleries, and there is un tas de concerts to celebrate the event on the last weekend of the month. Performers include Men in Blaque, an unusual all-male choir from the University of California at Irvine, the Grammy-winning organist Paul Jacobs, The Singers Companye, organist Alexander Frey, and the NGA Vocal Ensemble. January 28 and 29, various times, NGA West Building. Tickets: Free. You can be the judge of the opera singers of tomorrow, by attending the Metropolitan Opera National Council's Middle Atlantic Region Auditions. The best young singers from this part of the world will have the chance to sing two arias each, competing for the chance to go to New York for the national competition and a possible spot in the Met's Lindemann Young Artist Development Program. January 29, 2 pm, Kennedy Center Terrace Theater. Tickets: $32. See the full calendar for the month of January. 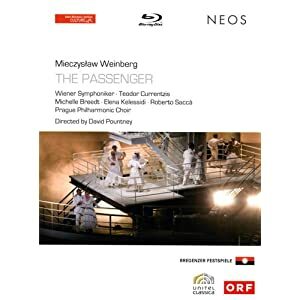 Christian Thielemann's Beethoven set first came out on Blu-ray and DVD (C major / Unitel) which was, along with Weinberg's "The Passenger", reason enough to finally get into Blu-ray. The picture of the Blu-ray set does look fantastic, indeed so much that it is almost worth watching the performances, rather than (just) listening to them. Still, I generally prefer pure audio listening (and many homes are set up with better audio-only equipment, relying on perfectly inadequate TV speakers for sound that accompanies pictures), and so I'm very happy to see the cycle out on CD. Thanks to their new-found relationship with the Vienna Philharmonic, Sony jumped to the occasion and issued the set as a belated Christmas present to Beethoven-lovers on December 27th. The first impression: The packaging is marvelous. Similar to the Chailly Beethoven-set on Decca, it's a thick book with page-sleeves... generous with pictures and text. Better yet, it is bound in white cloth and—this distinguishes it from the Decca release which comes in a comparatively flimsy paper slipcase—the slipcase is also bound in white cloth with bold magenta, gold, and white-on-white lettering. Minor, superficial details, perhaps, but all the same an asset for those who cherish haptic pleasures. Handling the set is a joy. 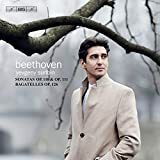 The symphonies are spread over six CDs (no overtures included) and one 45-minute "Making van Beethoven" German/English documentary that strikes me like a luxury trailer for the DVD/Blu-ray set. I am still going through the performances to gather more definite impressions, but I have already come across several gorgeous highlights on the Blu-ray that I am looking forward to re-encountering on CD. What is evident throughout is that the Vienna Philharmonic plays for "CT" like they do for no other conductor. Angels, of course, are a phenomenon that goes far beyond Christmas, the Christian kitsch equivalent of the New Age crystal. 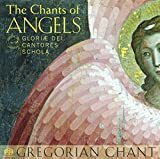 The idea behind this new release is to bring together as many chants as possible that contain the word "angelus" in some form (Angelis suis, Immitet angelus, Benedicite omnes angeli, Stetit angelus -- you get the idea) or that set words spoken by an angel in the Bible (the angelic hymn known as the Gloria, for example). 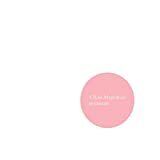 The packaging of the disc, with a booklet fluttering with seraphic wings in various pastel hues, certainly plays to the angel market. The programming idea is not exactly brilliant, it must be said, combining chants from Michaelmas, Guardian Angels, and a couple other liturgical occasions. 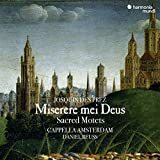 It does not help that the chants are all sung from the modern Solesmes editions, honorable and expertly edited, yes, but not really of historical interest. The singing is generally good, with male voices edging out the female ones for beauty and unity of sound (the woman a little pinched and nasal, and fussier of diction). There is something special about actual monks singing Gregorian chant, however, as noted earlier this week of the new recording from the Cistercians of Stift Heiligenkreuz. The voices recorded here are not those of monks, but of an ecumenical community named the Community of Jesus, founded in 1958 in a part of Cape Cod, Massachusetts. 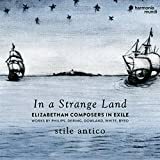 The group of lay people celebrate the Divine Office together, in a form of prayer modeled on Benedictine practice, and their choir, known as the Gloriæ Dei Cantores, is heard on this disc (the sound captured in the group's resonant Church of the Transfiguration in Rock Harbor). Not the best chant recording I have heard, by any means, but a lovely diversion. We have been following the work of cellist Sonia Wieder-Atherton, rewarding for both her playing and her daring programming. 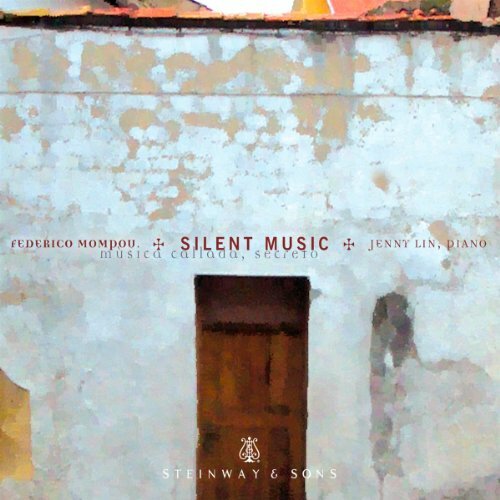 After an absorbing 2009 release, Chants d'Est (a "journey of 24 hours" through Slavic music), she has combined the music of two Italian composers, Claudio Monteverdi and Giacinto Scelsi, from opposite ends of the history of tonal music. I have my doubts about Scelsi, although his music is at the very least perplexing and therefore fun to unravel. As expected of Wieder-Atherton, the approach is a personal one, with the title of Vita derived from her first thought about the program (about "Life and Fate"). In the program notes, she writes that the combination of Scelsi and Monteverdi was inspired by her feeling "that both of them explored the forces within human nature. Both in their own particular way attempted to reach out to what binds human beings to the cosmos, to the worlds beyond." Wieder-Atherton's impassioned performances of four Scelsi movements, from the "large fresco cycle" of Trilogy (sections from the "Three Ages of Man"), are interspersed with her arrangements of Monteverdi pieces (partial credit given also to experimental composer Franck Krawczyk, who helps Wieder-Atherton design her projects), mostly from the eighth book of the composer's madrigals, on warlike and amorous subjects (joined by two younger cellists, Sarah Lancu and Mattheiu Lejeune). 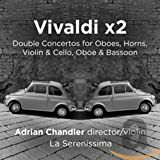 Wieder-Atherton has imagined a narrative to accompany the selection of music, some story about a male character and a female character, Angel and Angioletta, who are actually the same person in different periods of history, followed throughout the three ages of life. One can ignore it completely and still enjoy this diverting and rewarding disc. 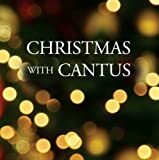 We took note of Cantus, an all-male vocal ensemble formed at St. Olaf College in Minnesota, a few years ago when they performed at the Kennedy Center with Trio Mediæval. In the choice of music for that performance, the group seemed to remain too much in the world of the collegian a cappella group, and their latest recording, although it has some beautiful tracks, makes the same misstep. The sound, captured in a chapel at the University of St. Thomas in St. Paul, is lovely, with a beautifully blended and balanced sound coming unraveled only at a few places where volume was applied over-zealously. 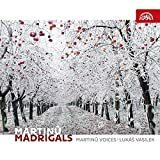 The group's rendition of Franz Biebl's lush Ave Maria is calm and warm, as is the world premiere recording of a new setting of the O Magnum Mysterium text by Brian A. Schmidt, not a bad piece but hard to distinguish from the work of many choral composers, like Whitacre and Tavener, whose equally undistinguished Awed by the Beauty is also featured. The typical sampling of carols from around the world, in arrangements by the group's members and others, turns up some British favorites (Nowell Nowell is the Salutacion and Coventry Carol), Native American carols (Twas in the Moon of Wintertime and Heleluyan), and other choices from France, Russia, Slovenia, and Scandinavia. Many readers will cringe, therefore, at the Bing Crosby turn the album takes, with a cute Carol of the Bells, the despicable Do You Hear What I Hear? (performed with guitar and finger-cymbals, as if at church camp), and a smarmy Have Yourself a Merry Little Christmas. Worst of all, the group sneaks in The Little Drummer Boy, a tune that is as tedious as it is impossible to erase from one's memory, weaving it in perniciously with a Burgundian carol about a drummer, echoed by a drum circle of random percussion. So, a guilty pleasure perhaps, but lovely music to play in the background at your Christmas party. Everything about the secular celebration of Christmas is backwards. We are suffocated with Christmas carols and decorations earlier and earlier in the fall, so that by the time Christmas arrives, when people should be decorating their houses and trimming trees and singing carols, most are tired of the idea. Christmastide is supposed to last until Epiphany, on January 6 (the so-called Twelve Days of Christmas, as in the famous song about leaping lords and partridges in pear trees), and by extension through Epiphanytide until Purification, on February 2. Instead, within a day or two of Christmas, people are throwing their Christmas trees out into the street, and just when we would be happy to hear carols, Christmas dies without the commercial drive to support it. In this period we like to offer up some brief thoughts on recent releases of music we have enjoyed, both Christmas-related and not. The Cistercian monks at Stift Heiligenkreuz made news a couple years ago when they released a recording of chant on the Universal/Decca label. That disc was eventually repackaged as a two-disc set, with an extra disc of Advent and Christmas chants, that is worth a listen. The monks, in fact, have gone full tilt technologically speaking, even hosting their own Monastic Channel (auf Deutsch) on YouTube. The Austrian monks have now launched their own label, Obsculta Music, with this new CD that also features their community's singing (available through Amazon, but at the moment only as mp3 files). 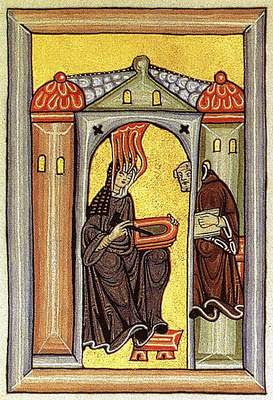 One can hear Gregorian chant performed many different ways, from the very humble to the most polished professional musicians. 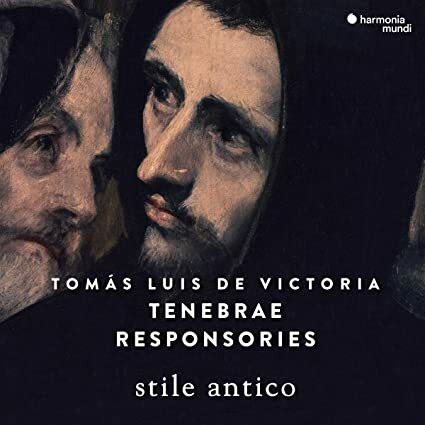 Some of my favorite recordings remain those made by monks and nuns, like the monks of Solesmes and Santo Domingo de Silos, and the monks of Heiligenkreuz fall into the same category -- not as purely gorgeous in sound as a group of professional singers, but imbued with a sense of devotion to this music as much more than just notes on a page. The disc follows a Holy Week trajectory, with music from Holy Thursday (Amor), Good Friday (Passio), Easter (Silentium et Jubilatio), and finally a glimpse of heaven itself (Caelum). In that final section the monks have done something rather unusual, performing four chants that, one could say, reflect the heavenly liturgy, with piano accompaniments by the Luxembourgian composer David Ianni, who has a long relationship with Stift Heiligenkreuz. The musical style of these accompaniments is generally minimalistic, with wavelike patterns that reinforce the repetitive nature of these formulaic hymns and litanies, which could strike the ear as meditative or New Agey, depending on your tastes (perhaps a case of gilding the lily, although chant is durable music and has withstood all manner of adaptation). A sample, along with some views of the monastery and its monks, in the video embedded below. Here is your regular Sunday selection of links to good things in Blogville and Beyond. Merry Christmas! 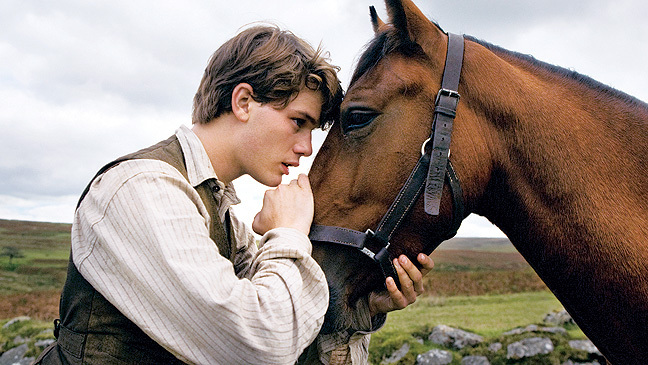 Steven Spielberg has adapted War Horse, Michael Morpurgo's children's novel from the 1980s, into a film that often seems aimed at the same audience, like an after-school special, except set during World War I. Screenwriters Lee Hall and Richard Curtis could not have the book's title character, a horse named Joey, narrate or participate -- without a lot of voice-over, which thankfully the movie eschews -- as it did in the novel and in a stage adaptation from a few years ago, where it was played by an elaborate puppet. In the film, Joey, played by a series of beautiful horses, has a lot of staring silences, on which the viewer is meant to project his reverence for horses. Unfortunately, from the first scene one knows exactly how the story will go, from beginning to end. 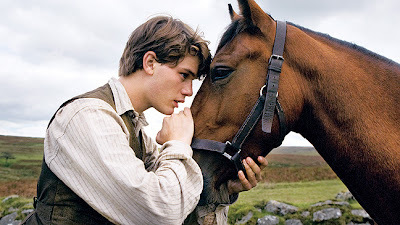 The faith kept between the horse and Albert Narracott, the boy who raises him (newcomer Jeremy Irvine, cast only because the young Ethan Hawke was not available), will triumph over all -- his father's tendencies toward drink and bad luck (Peter Mullan), the rapacious greed of the family's landlord (David Thewlis), even the devastation of the Great War. Some people may find this kind of movie heartwarming, but if you are like me, you will find it insincere and cloying. Even worse, the film drags on for far too long (almost two and a half hours), as countless improbable plot twists play out, one after the other. Albert's "thoughtless" father, thinking only of trying to save what he almost lost by buying the horse in the first place, sells Joey to the British cavalry at the outbreak of the war. Joey falls in with two officers, played with straight-backed, stiff-lipped class distinction by Tom Hiddleston (seen recently in the equally saccharine Midnight in Paris) and Benedict Cumberbatch (less distinguished than in the superior Tinker Tailor Soldier Spy). Tragically, the British cavalry did not realize its own obsolescence in war, with the advent of the machine gun, and the horse quickly falls into German hands. We follow the horse as it gets into and escapes from a series of predicaments and changes of fortune, each less believable than the last. You have all the ingredients for a grand Spielbergian success: a broad historical sweep, an equine protagonist that no one could not love, an epic human tragedy that can be soft-pedaled into the background, an eye for the big picture in cinematographer Janusz Kaminski (working on actual film, old school), and a stirring score by John Williams that sounds very much like many of the composer's other scores. Still, Spielberg has managed to make a film that is too violent for young children and too jejune for adults. For your holiday week entertainment, stick to Tinker Tailor Soldier Spy and other options. Because I grew up with a father obsessed with books about wars -- Civil, World I and II, and especially Cold -- the novels of John Le Carré were early on pressed into my hands. Like Anthony Lane, who wrote a long analysis of Tinker Tailor Soldier Spy for The New Yorker earlier this month, I thought that Tomas Alfredson's new film adaptation of this Cold War classic was a fool's errand, after the memorable BBC television miniseries, with Alec Guinness as veteran spy master George Smiley. There are definitely things that both Le Carré's novel and the longer BBC adaptation do better, but the Swedish director's two-hour film both updates the sensibilities of the story (notably on the issue of homosexuality) and remains true to its spirit. It is a brilliant follow-up to Alfredson's last feature, the stylish vampire film Let the Right One In, thanks in no small part to a streamlined screenplay by Bridget O'Connor (who died last year) and Peter Straughan (O'Connor's husband, and one of the screenwriters for another, less successful espionage thriller, The Debt). For all of the film's tautness, reducing all of the characters and Byzantine plot complications to feature length, the pacing preserves the agonized waiting, silence, and unraveling of the spy chess match, making it certainly the best Le Carré film since Richard Burton's The Spy Who Came in from the Cold. Those of you searching for the right movie to see during the end-of-the-year holiday season, look no further. The film hangs on the pasty, owl-glassed face of Gary Oldman's George Smiley, impassive and calculating yet vulnerable, as he plays a game of cat and mouse with his Soviet nemesis, the mysterious Karla, in an attempt to unmask a mole at the top of the British intelligence agency MI6, known charmingly as "The Circus." Also representing the old guard is the unstoppable John Hurt (recently reviewed in Melancholia and on stage in Krapp's Last Tape) as Smiley's shadowy mentor, known only as Control. Any of the younger agents -- played, all of them admirably, by a strong supporting cast of Mark Strong, Toby Jones, David Dencik, Ciarán Hinds, and Colin Firth -- could and do fall under suspicion. Officially retired from MI6, Smiley is entrusted with the job behind the scenes, taking with him only a couple of trusted colleagues, principally young Peter Guillam, played by a natty, tow-headed Benedict Cumberbatch, on my radar recently as the title role in the quirky new television series Sherlock. 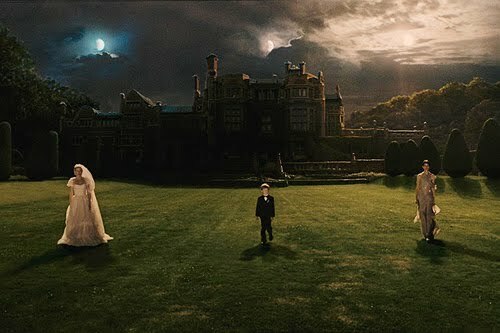 This is mostly a silent chess match of waiting, punctuated by a few moments of horror and violence, handled with terrifying austerity by Alfredson, in a palette of bright 70s colors and muted grays and browns (cinematography by Hoyte Van Hoytema, production design by Maria Djurkovic). The telescoping of the story may make it difficult for some viewers to follow, as many significant developments go by without much time to process them. It is easy to miss things. What is clear is that the heaviest sacrifice of espionage is the personal happiness of family life. Any affection or relationship equals a liability, and more than once in the film, relationships -- Smiley's attachment to his less than devoted wife, Guillam's secret liaison with an older man -- must be jettisoned as something to "clean up" rather than allow one's enemies an avenue of attack, and this could come from either side as allegiances are fluid. Ricki Tarr (the 70s-haired Tom Hardy), a lesser operative who inadvertently finds an inroad into the matter of the mole, puts it best when he says that he wants out of the Circus so he can have a family: "I don't want to end up like you lot." He makes the classic mistake of the spy, falling in love with the beautiful woman, a Soviet agent played by the lovely, elfin-featured Russian actress Svetlana Khodchenkova. He is in the wrong line of work, one where just a few words betray him and the woman he loves. Even the grave, taciturn Smiley, who does not say a word in the movie's first twenty minutes, has his most emotional moment, over many drinks with Peter Guillam, when he recounts how he said too much at one crucial moment early in his career. He, too, has paid for it ever since. This film is screening at many area theaters. It is time to take stock of the year that was, beginning with the best concerts we heard here in the Washington area. (Jens will tell us about the best performances he heard in Europe this past year.) These are in no particular order of preference, listed simply from most recent to least. A few honorable (and dishonorable) mentions, in various categories, and a remembrance of some of the artists we mourned in 2011 are added at the end. The list of beloved artistic figures we lost this year includes playwright Václav Havel; singers Cesária Évora, Montserrat Figueras, Salvatore Licitra, and Margaret Price; writer Christopher Hitchens; composers John Gardner, Daniel Catán, John Barry, Peter Lieberson, Lee Hoiby, and Milton Babbitt; film directors Ken Russell and Sidney Lumet; actors John Wood, Elizabeth Taylor, and Pete Postelthwaite; violinist Josef Suk; painter Cy Twombly; and conductor Yakov Kreizberg. We also note the passing of Denis Dutton, the founder of Arts and Letters Daily; Roman Catholic Cardinal John Foley, the voice of American broadcasts from the Vatican; and musicologists Charles Hamm, Piero Weiss, and László Dobszay. Norman Scribner, who has led the Choral Arts Society of Washington since founding it in 1965, has set the date of his retirement for next summer. Scribner’s leadership of this mammoth volunteer choir has certainly been consistent. The ensemble’s current season, offered in tribute to Scribner, is recapitulating his legacy down to the annual Christmas concert, heard Monday night. It may be difficult to take seriously the idea of a war on Christmas, given how pervasive the holiday’s trappings are in the marketplace. In any case, it remains unclear on which side the forces of trivialization would be fighting. On Sunday evening, there were two Christmas concerts after my own heart. This is not really a review, because of my friendly connection to the performers, but more an appreciation. First, Jeremy Filsell gave an organ recital at Washington National Cathedral, with a rare complete performance of Olivier Messiaen's La Nativité du Seigneur. 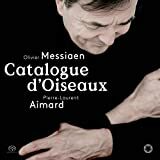 It is a fairly youthful work, composed when Messiaen was still in his 20s, but it still hits all the hallmarks of the composer's intensely mystical style, just with a few more plain triads, fewer hallucinatory bird songs, and some unexpected humor. Filsell chose some exciting registrations: glowing stained-glass colors, whirring intense sounds, brassy theater organ fanfare, ominous low reeds clustered like bagpipes. In a pithy presentation on the work beforehand, Filsell explained some of the pictorial devices Messiaen embedded in the score, and many of them popped out in the performance, like the pastoral cantillation of the shepherds, the crunchy dissonant chords in time-suspending rhythmic patterns (hints of the Quatuor pour la fin du temps), the chaotic dancing of the angels, the heavy-footed slog of the wise men's camels. While parts of the piece are slow, even spare, there are some technical challenges, played here as thrilling toccatas. Later that evening, it was out to the wilds of Virginia with my passport in hand for the second Christmas concert from the local all-male choir known as the Suspicious Cheese Lords. The venue kind enough to host the ensemble was Holy Spirit Catholic Church, one of those wood-and-carpet mid-20th-century buildings, with an acoustic that sounds like a living room. Still, this concert gets high marks for programming, proof yet again that Christmas programming really does not need to regurgitate Messiah and countless other tired pieces. The Lords, as is their wont, fed us with mostly unknown Renaissance motets, by the likes of Gregorio Turini, Leonhard Paminger, Melchor Robledo, Ivo de Vento, Dominique Phinot (an expansive Ave Maria, somber except for a glorious opening up at the words "O mater dei"), Giovanni Nanino, and Francesco de Layolle, all worth knowing. 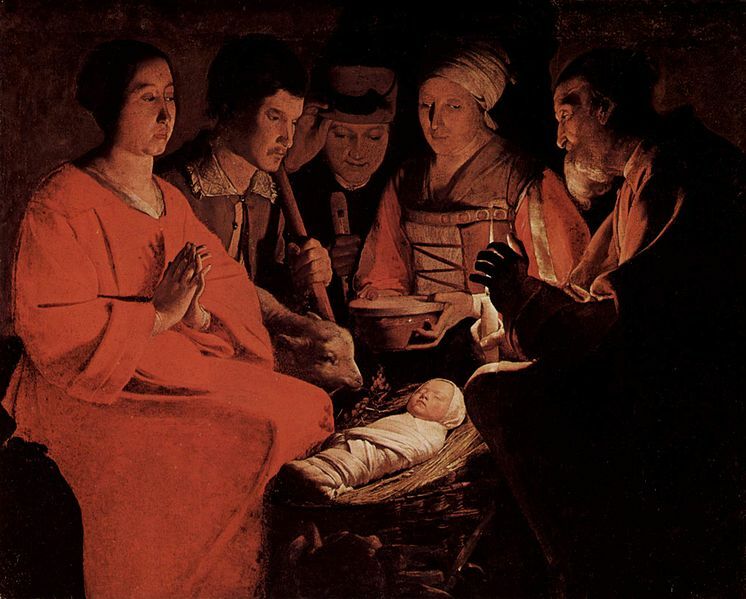 More recent pieces were just as alluring, including the moody Christmas processional Voici la nuit (featured in the splendid film Of Gods and Men), Stephen Sametz's catchy, hocket-like Noel!, the austere American hymn Shepherds Rejoice (from The Sacred Harp), and the magnificent Three Kings by Canadian composer Healey Willan, who is always worth discovering further. Russell Weismann, organist and Associate Director of Music at the National Shrine of the Immaculate Conception (where I sang for many years in the choir), added some unusual organ selections to the mix, from the theatrical use of bells and Zimbelstern in Richard Purvis's setting of Greensleeves to the crazy toccata of Keith Chapman's take on Bring a Torch, Jeannette, Isabella. 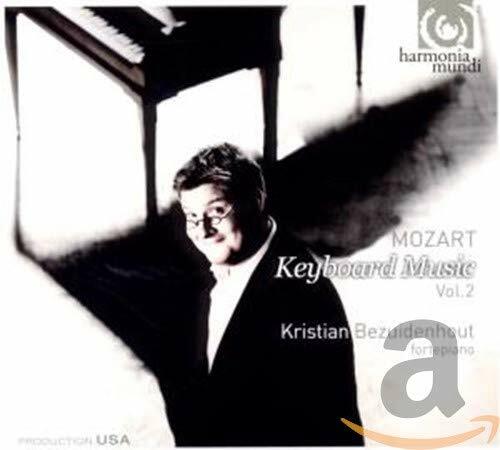 For the longest time (well, a couple years, at least) my favorite Mozart Sonata CD on the fortepiano had been Kristian Bezuidenhout's disc on Fleur de Son. Well, move over Bezuidenhout and make room for... Bezuidenhout. Volume 2 of his survey of Mozart's music for solo keyboard on Harmonia Mundi is played on a Paul McNulty instrument, a copy of a Anton Walter & Sohn fortepiano from around 1802. (McNulty also supplies the incandescent Ronald Brautigam, arguably the king of the fortepiano if Bezuidenhout is its “prince” [The Times, UK].) 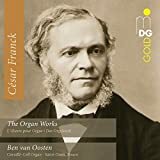 The disc is choc-full of favorites (The sonata K.330, the Rondo K.511, the Adagio K.540...) and each one of them is played with freshness and a vividness that delights from the first note to the last. The playing and the quality of the instrument are such that we get all the intended benefits from the fortepiano (note separation, quicker decay, greater nimbleness, the more heterogeneous sound) with virtually none the downsides of the often clangy, twangy sound of the badly restored, dried-up fortepianos of yesteryear. Total joy! 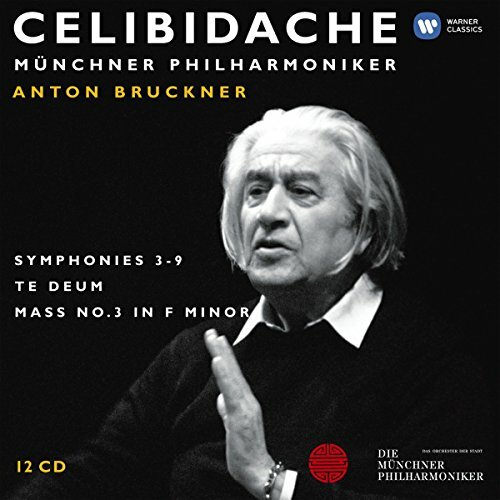 Celibidache’s work is least controversial in Bruckner, where that mysterious touch yielded lots of magic. 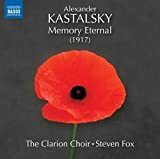 Even if some performances don’t come across as well on record than they must have in the concert hall (specifically the Eighth), there’s so much greatness on this near-complete set (3 - 9 + Te Deum) that it has been one of the most sought after when it was hard to get… and should be the natural complimentary set to more mainstream cycles like Eugen Jochum’s or Günter Wand’s. 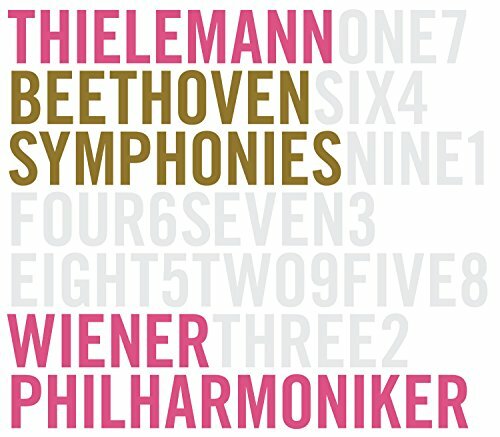 The Third, Fifth, and Sixth are each my favorite interpretations of those symphonies – with his incredible slow-glow, he turns the often underrated Third and Sixth into highlights of the Bruckner canon, and the Fifth—despite a similar, very fine Thielemann interpretation with the same orchestra. (“Slow Food for the Ears”)—is non-pareil anyway. Finally they’re easily available again! 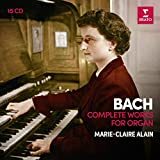 Transcriptions in general—and of Bach’s works or by Bach in particular—are a favorite topic of mine, and I collect recordings that suit that topic in a special box. The pile is ever growing; Marimba versions of the Cello Suites and Goldberg variations variously for harp, accordion, or various saxophone conglomerations abound. 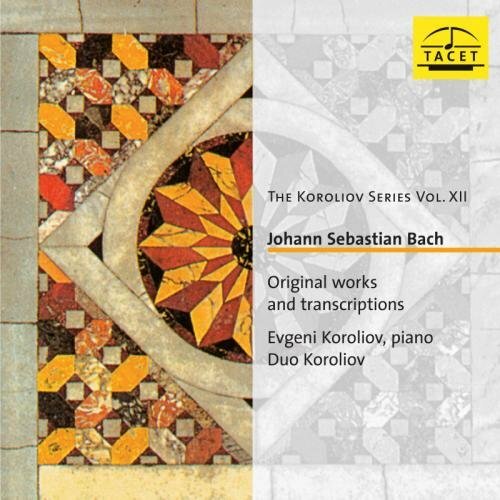 My favorite release of 2009—the Goldberg Variations in the Rheinberger-Reger arrangement—belonged to the category as well and this year’s Bach-transcription choice with Evgeni Koroliov and his wife continues very neatly in that line: Adaptations and arrangements for piano duo (and solo piano) by romantic composers (Liszt, Prelude & Fugue in A minor BWV 543), by Bach via-performer (the “Organ Mass” a.k.a. Clavierübung III, which are arrangements of chorales for organ performed on the piano), by the performer (Passacaglia for two pianos), and most delightfully of them all: various organ pieces by György Kurtág for two pianos on the audiophile Tacet label. 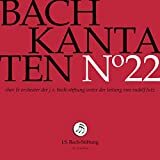 Taking Bach’s work from the organ to the modern grand piano is perhaps the most ‘natural’ among all the transcriptive steps, despite the fact that they’re based on two as-different-as-can-be ways of producing sound. With all the differences from one organ to another, and considering the piano’s ability to create a great variety of tonal colors (further increased when two pianos are aat work), the piano is really an organ by other means. If the organ is the king of instruments (although I’ve always thought of it, for all its pipes, as more or a resplendent queen or something gender-unspecific), the grand piano is the prince (and workhorse). Leaving the ‘what’, ‘why’, and ‘how’ of transcribing and transcriptions aside for the time being, this disc is an absolute marvel. 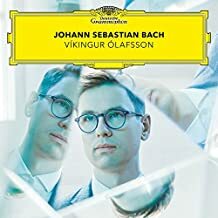 The work of the creative agents isn’t in this case the equal of their lowest common denominator (which would still be lofty, given the musicians involved), but achieves something as wonderful as—and just-slightly, wonderfully different than—the Bach original. The Passacaglia, so dear to my heart, is oft transcribed and very happily so for two pianos, a version where I feel it can achieve its greatness almost more easily than in an average organ performance. Instigated by Busoni (who never made his own transcription of it), Bösendorfer even designed its Imperial Grand Piano to accommodate Bach’s writing for the grand organ sound of the Passacaglia. Koroliov’s idiomatic transcription is one of several two-piano arrangements (most famous of them probably Max Reger’s). 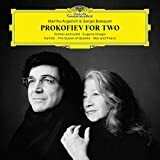 Whether it is Koroliov and Ljupka Hadžigeorgieva’s playing or the transcription (or both) that makes the textures sound occasionally leaner than I am used to from the Reger versions is hard to tell; easy to tell is the propulsive-compelling excellence of the performance, though. Ditto the Liszt and Clavierübung III. Koroliov’s Ricercar a 6 from “The Musical Offering” (a transcription-favorite of mine in Webern’s brilliant orchestrated version) is a superb lead-in for the six Kurtág transcriptions that are such things of beauty that they bring metaphorical, sometimes literal, tears to my eyes. 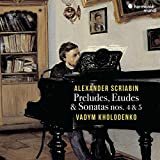 The two and a half minutes of the Sonatina from the Actus Tragicus alone are invaluable, just for the beauty of the piece itself. But if you listen closer, also for how Kurtág teases out the interplay of the voices that, in the original, are made up of two recorders, violas, and da gambas. Elsewhere he emulates overtones by doubling the melody a twelfth above in pppp. Everywhere he exudes musical intelligence and humble passion for the great master’s music. Her playfulness, her ease, her joyfully purled high notes, her melodious allure and the coy sparkle: Whether in opera or concert, Diana Damrau is a perfect joy to experience... capable of making believers out of doubters and turning hackneyed roles into three dimensional, intriguing characters. If you haven't the opportunity to hear Mme. Damrau live, the proof is in her latest pudding... err: CD release on Virgin Classics. Strauss' finest orchestral songs, recorded with the best Strauss-team available at the time: Christian Thielemann and the Munich Philharmonic.... The loving, caring sensitivity of Thielemann's support is oozing through the music everywhere; he accompanies in the best sense: eager to let Damrau and Strauss shine in the best possible light. This damn set, because it is so incredibly fancy and shiny, doesn’t fit into any CD shelf. That’s beautifully annoying, but depending on how picky you are about sorting your music, it may not matter… or you will find a creative work-around. In any case, it’s the music that (presumably) matters. And this Schubert cycle is absolutely fantastic, making the most of the lesser symphonies (1-4) and turning in highly competitive versions of the magnificent Fifth, the “Little C major”, the unfinished Eighth, and the “Great” Ninth. 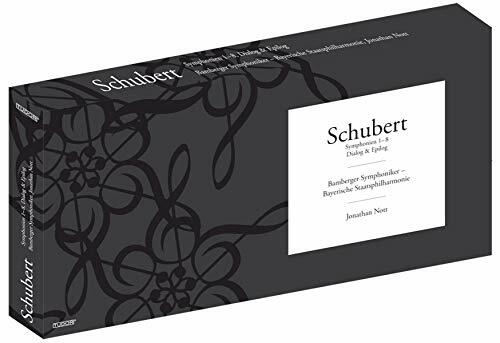 Better, still, it includes the “Dialog” and “Epilog” CDs of their Schubert exploration, and those two CDs alone would be worth the recommendation. I’ve written about Luciano Berio’s Rendering just recently (“Schubert’s Ghost”), and the other works included (Aribert Reimann’s Metamorphosen on a Schubert Minuet, Hans Werner Henze’s Erlkönig, Schubert Choruses by Hans Zender, and Kurt Schwertsik’s Rosamunde Epilog) are also highly intriguing, consonant works of modern beauty. 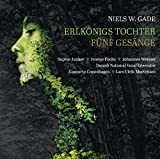 The “Dialog” CD includes Schubert-infused and tuned works by Jörg Widmann, Wolfgang Rihm, Bruno Mantovani, and Dieter Schnebel and is just as fascinating. That’s contemporary music made very, very easy… with a generous Schubert dollop to boot. 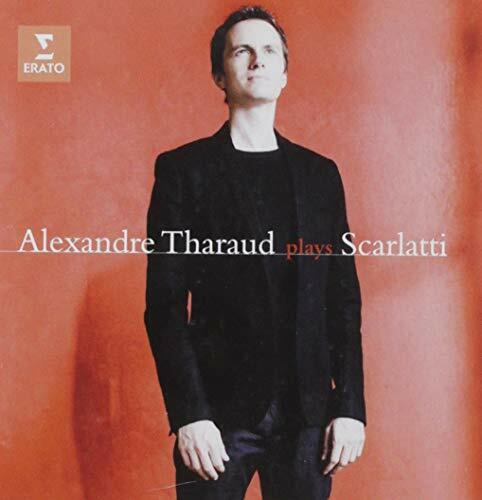 Alexandre Tharaud is a regular on this list, with Bach (HMU, 2005), Chopin (HMU, 2006), Couperin (HMU, 2007), and the re-issue of the “baroque” trilogy (HMU, 2010). 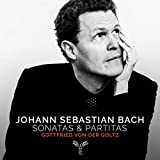 He has moved from Harmonia Mundi to the Virgin Classics label now, where he has released a decent Chopin album (“Journale intime”) and most recently a very lovely recording of Bach Concertos. But inclusion on this list comes courtesy of his Scarlatti (live review here: “A Case of Perpetual Puppy”), which is more than just lovely. 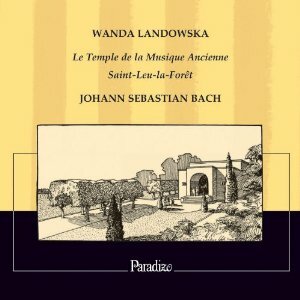 The collection of Bach works performed by Wanda Landowska titled “Recordings from Le Temple de la Musique Ancienne” was specially re-mastered for Skip Sempé’s “Paradizo” label. The Partita in B-flat, Three Little Preludes, the Italian Concerto, the English Suite in A minor, and the Chromatic Fantasia and Fugue (recorded in 1935/36) present Landowska from her best side, they haven’t ever sounded that good before, and they certainly have never been re-issued with so much TLC. Sometimes her idea of “historical performance”, including her custom-built Pleyel instrument (which reminds me of Wendy Carlos' Bach, actually), are bemusedly belittled. But for all the anachronisms from a 21st century perspective, Landowska was earnestly concerned with early music, and in the 1920s its foremost champion without which the revival of old music in modern times but historical guise would certainly have come significantly slower and later. The release is a beautiful shrine to Landowska, her importance and her playing, but also to the lasting and multifaceted beauty of Bach. Frederic Mompou’s life spans modern history. He was three when Brahms died. When he died at the age of 94, Ronald Reagan had just told Mikhail Gorbachev to “tear down this Wall”. The British pianist Stephen Hough has aptly described Mompou as “Satie without cynicism”. 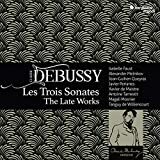 Piano miniatures are the prominent output of both, but unlike his good acquaintance Satie, Mompou doesn’t seem to be hiding behind (disingenuous?) self-effacing humor. Mompou is serious about his little gems; the fact that they look humble and are short doesn’t seem to worry him. Rightly popular is his Música Callada (“Voice of Silence”) – somber yet charming, nostalgic but affirmative. Only the occasional gentle dissonance reminds of the 20th century... breaking like waves against the stoic music. Played with enough warmth, they are as enchanting and accessible as the softer hued Impresiones intimas or his lilting little dances—and apart from Herbert Henck, it is Jenny Lin who does exactly that. She creates tapestry of subtlety into which the ears can sink like an exhausted cat on extra thick shag carpeting. 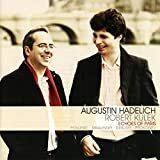 Since Henck’s release, I haven’t heard such felt, beautifully simple Mompou. 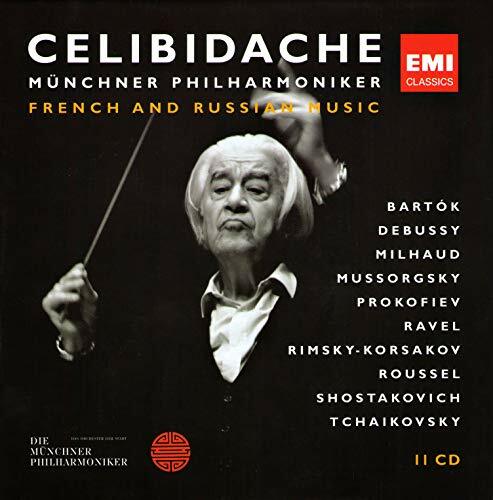 The results might have been uneven (at least on recordings—which Celibidache disapproved of—they have a wildly varying success rate), but at their best they were of literally unheard-of glory. The orchestra still lives off the fame that combination attained; in Munich, of course, and in fervently devoted Asian pockets. 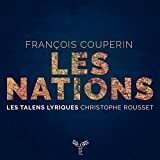 The results in French and Russian repertoire are among the happiest and those where lasting greatness can be easily weaned off the recorded legacy. His Pictures at an Exhibition, his Sheherazade, his Concerto for Orchestra (Bartók being conveniently russified for the purposes of this set), and his Debussy Ibéria are all astonishing... In the good sense, largely. 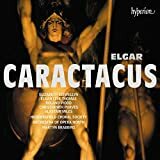 Inexplicably, his superbly lush Romeo & Julia Overture is not included, but that doesn’t keep this from being an essential re-issue for those who adore gloriously celebrated orchestral music. 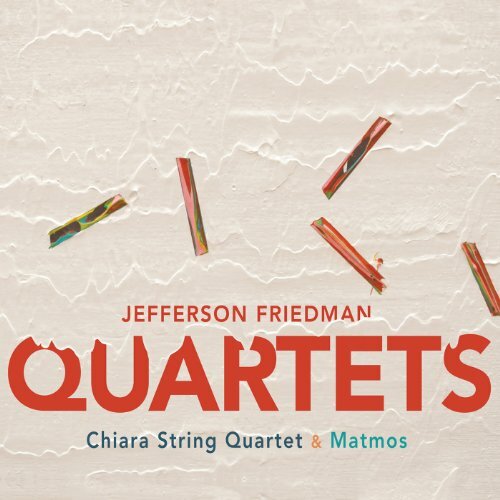 From reading the nearly non-existent liner notes, or glancing at the cover, you really don’t know what you are getting into: “Jefferson Friedman Quartets” – presumably string quartets, given the involvement of the Chiara String Quartet. With both those ingredients being unknown quantities to me, I just plopped the CD, which came recommended to me by a friend in the music-PR business whose unfailing instinct and honesty I know better than to resist, into the player and let exploration and surprise take its course. 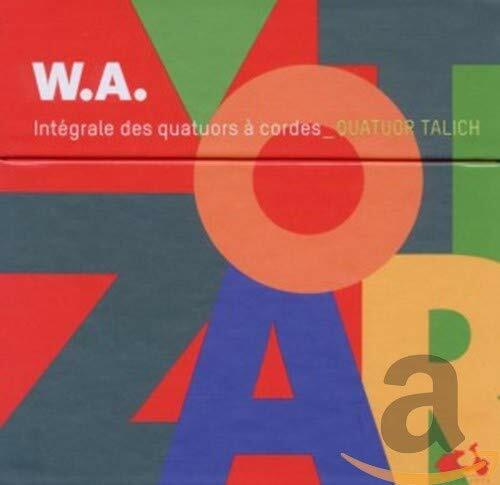 I listened with intrigue to the 1999 Quartet no.2, which despite its three movements being suspiciously titled “I - ♩= 120, II - Free ♩= ca.60, and III - ♪ - 180” is a work with a strong lyrical and beauty-embracing bent... and (later) Shostakovichean drive. Modern, discernibly, but with the immediate appeal that a healthy amount of consonance brings about. Allan Kozinn calls them “neo-romantic” in his enthusing New York Times review, which is an apt, if liberal description. As I listened, still under the fairly recent impression of Mojca Erdmann’s Yellow Lounge disaster in Salzburg (a ghastly failure of the otherwise well-intentioned experiment in forcing classical music to be hip), I thought during the propelling first and archaic-romantic slow movement, that this might actually be suited very well for a playback in a club, subtly underscored by a repetitive beat of my own imagining. Lo and behold: the fourth track does just that. Turns out that the “Matmos” timidly emblazoned on the cover, which I therefore overlooked or ignored, is a Baltimore-based (!) two-man band that likes to amplify crayfish nerve tissue, modify the succulent sounds of liposuction surgery, and rattle rat cages. Go look, it’s all true. Friends with the young (south-of-40) Friedman, they took their re-mixing approach (fairly conventional in this case, I’d say) to the two quartets on this disc which results in two electronically re-imagined distillations (five and ten minutes, respectively) of the music one has just heard. I can imagine many listeners that are (or think themselves) allergic to that kind of treatment, which so blurs the sacred boundaries between “serious” and “entertainment” music. Well, all the power to Matmos, all the same. Both, the originals and the re-mixes on this disc make for terrific music (Gabriel Prokofiev comes to mind, although I find Jeffereson/Matmos catchier stuff) and help erode the remnants of artificial borders that wish to divide categories that need not be divided. The long, 17 minute slow movement “Act” of the 2005 String Quartet is like a modern meditation on Beethoven’s “Heiliger Dankgesang” – with an ethereal but never perfumed or esoteric quality that ends on slippery and sliding business which provides the contrast to the serene concluding “Epilogue/Lullaby”. Then comes the remix… in this case not something that would get you dirty on the dance floor, but with space-industrial qualities that make the ears perk. 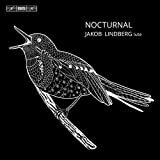 A refreshing, smartly entertaining release from New Amsterdam Records. 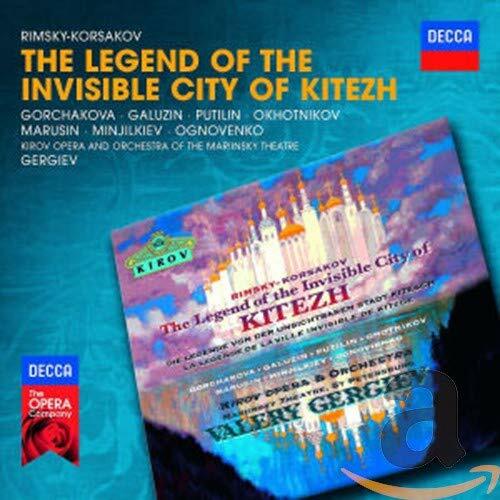 “Kitezh”, or if you are into full names “The Legend Of The Invisible City Of Kitezh and the Maiden Fevroniya” is the most important Russian opera you don’t know about. And if you already know about it, it’s still the most important Russian opera you haven’t heard. 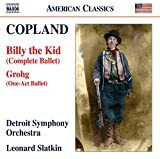 And if you’ve actually heard it, then you most likely already have this seminal (live) recording with of Rimsky-Korsakov’s finest and (in the best sense) strangest opera. Or maybe you were so lucky to be at one of the two New York performances in 1995 and 2003, also with Gergiev. If you haven't, read Alex Ross’ article in the New Yorker about the latter performance here, and his 1998 Kitezh-themed Gergiev article. If this is a seminal recording, it’s not because it somehow beats the competition to smithereens; there is no competition. But it’s also not just seminal because it’s the lone plausible recording, which might abuse its monopoly position with a lazy reading or shoddy performance. 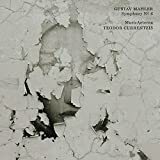 No, this is one of the early-ish examples on Philips (now rescued into the Decca catalog) of how Gergiev came to be the omnipresent maestro… It combines all his musical and persuasive strengths; his gruffness and his sweetness in music that is gorgeous and mystical, a Парсифаль—a Russian Parsifal—of sorts, a work that shows off why Rimsky was the undisputed master of orchestration, not just among Russian composers. Story: The Prince Vsevolod , defender of legendary Kitezh, wishes, against family opposition, to marry the ‘common’ maiden Fevroniya, the very model of virtue. The latter endures mudslinging, then kidnapping, then the battle-field death of her betrothed. Tartars attack, but are foiled by the titular invisibility of Kitezh. Vsevolod (revived) and Fevroniya get to enjoy life-eternal within the city and the bad lead Tartar is forgiven. It’s not the worst, as far as opera story-boards go, but if you don’t understand Russian, your enjoyment-loss for this opera is minimal and the libretto very optional. Since hearing this violinist in concert some 11 years ago, I’ve followed her career with interest—an interest that regularly pays dividends in the form of excellent recordings. First there were the Milhaud concertos, an interesting and intelligent, if not particularly emotional release (Orfeo). 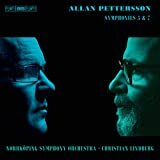 Eventually, by way of totally committed Piazzolla, came the Shostakovich concertos that gave a sneak preview of the skill of Andris Nelsons (with the BRSO, Orfeo). The release after that might be the best to-date: The Beethoven concerto because of Nelsons (and the WDR SO) and the coupled Berg concerto because of Mlle. Steinbacher’s heart-wrenchingly lyrical interpretation. As her Chumachenco-classmate Julia Fischer moved from Pentatone to Decca, Steinbacher filled the gap and moved from Orfeo to Penatone. 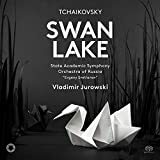 The first release on the new label meant tantalizing Dvořák coupled with Szymanowski ‘One’ (Marek Janowski, RSO Berlin). A straggler on Orfeo with the Brahms Concerto (coupled with a Schumann ‘Four’, all with Luisi piloting the VSO) came out this year but hasn’t made it across my desk yet. 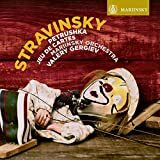 Despite these fine releases with nary a clunker among them, I still never know what to expect from the violinist, whose interpretative range runs the gamut from earthy tenacity to dainty prettiness; from fierce to polite to bland. 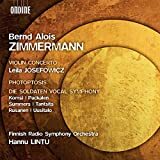 Perhaps I should have been less surprised at how good this Bartók is, and more at how boring the Brahms, but happy surprise isn’t the reason why this CD makes the list – it’s the combination of the above mentioned qualities applied in just the right measure in the right places. Bela Bartók’s first, two-movement, concerto is a story of admiration and infatuation gone wrong; Bartók wishfully hoped for a relationship with the Swiss violinist Stefi Geyer who would, alas, have none of it. Image-googling the lady makes Bartók’s fixation look somewhat reasonable; pictures show a beautiful (but cool, dispassionate) face attached to the fiddling rest. Miss Geyer made sure Bartók didn’t harbor any false hopes, but she still accepted the concerto, kept the score, put it in a drawer, and never played it. It needed Paul Sacher to instigate the world premiere performance in 1958; thirteen years after Bartók’s and two years after Geyer’s death. In sweetness as well as grit, the soloist, Marek Janowski, and the Orchestre de la Suisse Romande, offer a tremendous reading that seems to get everything right, in both concertos. Hearing Bartók’s Second like this, ever tasteful but never boring, one is actually tempted to believe the bit about it being the most important violin concerto of the 20th century… or at least the most fascinating one. Newton Classics is one of the most interesting new re-issue labels. 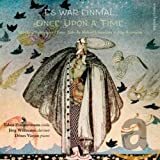 It produces high quality, mid-priced releases (rather than super-bargain budget cheapos without corporate design or liner notes) of venerable classics, emotional favorites, and curiously out-of-print performances both recent and mature. Its founder Theo Lap has worked in licensing ‘from the other side’ for EMI and Universal and knows that aspect of the business inside out. He knows that even recordings that never quite garnered universal praise (or, to be more blunt: recordings I wouldn’t touch with a ten foot pole) can find a nice and steady market of ‘appreciateurs’, and that the success of a performance need not depend on whether it is (or isn’t) available in other versions and at different price points. 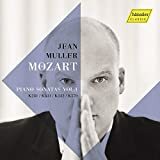 Many of Newton Classics re-releases are from the digital age that saw so many mainstream issuances that many a disc never made the splash a similar such recording might make today: a Brahms Cycle with the Vienna Philharmonic under Giulini, or a Schumann cycle with the same band under Muti, for example. 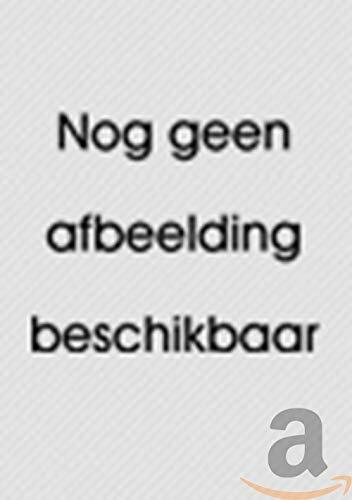 Most of Newton Classics' sources come from the Universal Music catalog so far – with lots of former Philips products among them; perhaps because Universal itself can’t catch up with re-issuing that rich catalogue on Decca, since they no longer have the rights to the Philips name. Mercury Living Presence (like Byron Janis’ Liszt) is well represented, too. 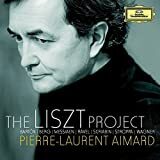 Standouts are Firkusny or the Hagen Quartet in Janáček, Markevitch’s Tchaikovsky-cycle with the LSO, or a 1998 HIP “Trout” around Jos van Immerseel that Sony let slip through their fingers. Bernard Haitink’s 1985 Alpine Symphony, with its stupendous mix of dainty touches, ferocious dynamism, and lyrical tenderness – all in excellent sound and with the colorfully glittering Royal Concertgebouw – was one of the finest Alpine Symphonies when it came out on Philips in 1986. 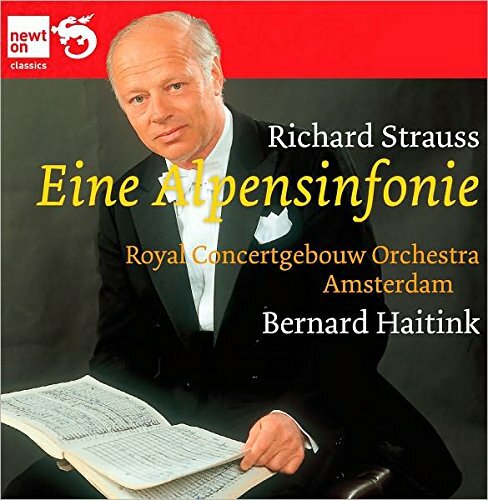 With Haitink recordings, it’s an odd thing – the worst of them are still good and ‘tolerated’ in the catalogue as inoffensive, solidly played and usually good sounding 'also-rans'. And the best ones don’t inspire particular fervor, either… go underappreciated sometimes, and occasionally are not loved for what they were until after they have been deleted. Something like that happened to this Alpine Symphony… but Newton Classics has revived it now and the man from the Low Countries can show of his mountainous glory again. The only snag: Haitink has since delivered another blistering account with the LSO (LSO Live, Best of 2010) that plumbs the depths a little deeper, and shines brighter atop, which would make up for the minimally smaller amount of color and surprise (present here). If one had to chose only one. Which one doesn’t, anymore. The readings are also in line with my impression of Chailly aging into an ever more interesting, more daring, darker musician, instead of letting a mellow, routine dangle creep into his conducting. 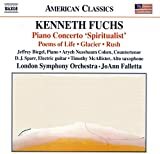 The First and Second Symphonies are bold works of romantic brawn and classical speed. The Third is very tightly argued and at 42 minutes (with repeats) one of the quickest on record. The Fourth, strangely, falls flat – at least to my ears, spoiled by the dancing Fourth from Vänskä & Minnesota, it’s a near-total dud. It remains the only unsatisfactory work… the next, the Fifth, is downright threatening with grim drama; well suited to frightening children and pets. The first time I listened to it, I underwent a strange sense of fascinating discomfort, not unlike a touch of vertigo… An experience ultimately much more fascinating than discomfiting. The Overtures are irritable and gruff, dissonances are emphasized and while the lyrical lacunae are always serene, they are usually short. 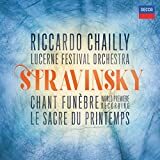 The “Name Day Overture” which kneels before Chailly a humble, forgotten work, rises a grand, superbly entertaining piece. Coupling it (plus the King Stephen Overture) with the wild but breezy Ninth Symphony further highlights Beethoven’s use of earlier works to sketch out the famous themes of his last symphony. 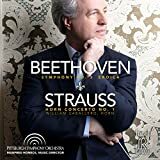 Part of the robust darkness of the set stems from the famously ‘dark’, varnished Gewandhaus sound, already impressive in the previous Leipzig Beethoven cycles under Franz Konwitschny (Berlin Classics) and Masur (1970s, Philips/Pentatone and again in the 90s, Philips). 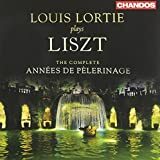 Masur’s first cycle has its followers, but except for the LGO-sound (not yet performed in the new hall, and sonically not ideal), it’s a drowsy affair. With superb sound taken from the new Gewandhaus hall, a contemporary interpretive edge, and brimming with personality, Chailly’s Beethoven—combining in it the new and old—isn’t just the Leipzig-cycle of choice, it is one of the most interesting and finest modern cycles, and utterly unique. Not my first-choice for a Beethoven cycle (Järvi, RCA or Vänskä, BIS currently), but one of the top complementary cycles. 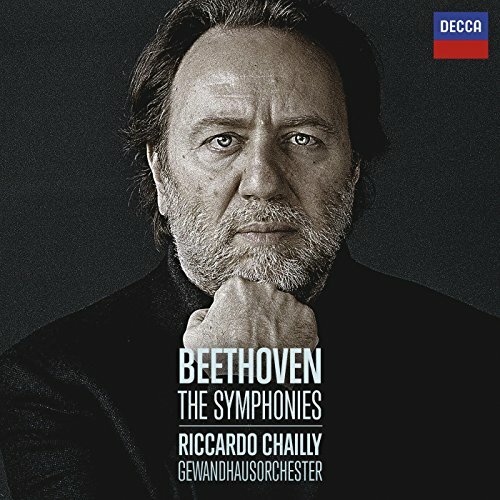 * As a few readers have rightly pointed out, Chailly did record some more Beethoven; in the 80s he and Alicia DeLarrocha put down the five Piano Concertos on Decca. Long since deleted, it made a brief re-appearance on Decca Eclipse, but those recordings are also OOP. In short: there's much awesomeness to be had here, and in state-of-the-art sound at that. During a musical tour of London in 2009, the orchestral highlight was a night with the London Philharmonic Orchestra under their Principal Conductor Vladimir Jurowski. A cracking, tight Mahler First was still topped when Martin Helmchen married Mozartean lightness to Chopin-romanticism in a world-class performance of Shostakovich’s Second Piano Concerto. The LPO’s own label recorded that performance, added it to a performance of the First Concerto (with similar qualities) from exactly one year before that, and waited another year to generously add the Piano Quintet in G Minor, performed by Helmchen with the LPO’s principal string players at Henry Wood Hall. Helmchen, admittedly, wouldn’t have been the first pianist to come to my mind thinking of ‘great Shostakovich’. I know him as a master of moderation, terribly serious, at home with the ‘Viennese Classics’, 19th century repertoire, and of a disposition that favors subtlety over attack; refinement over edges, depth over flash. His performances usually kick in on the third listen, rarely on the first. 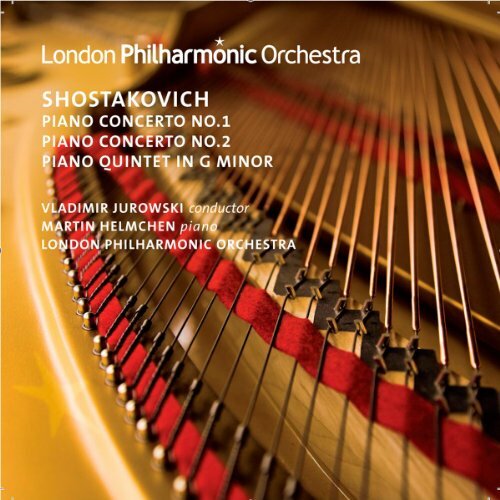 But then Shostakovich’s Piano Concertos—certainly not the Second and not the First, either—are hardly the gruff-and-rough works that his symphonies would suggest or as tensely focused and acerbic as his string quartets. They’re among the lightest, even fluffiest among Shostakovich’s ‘repertoire works’… closest in spirit to his Ninth Symphony, and sometimes closer still to works like Tahiti Trot or The Golden Age. Nor does Helmchen hold back when holding back would be a hindrance; the cadenzas and the furious closing gallop before the gleefully celebratory finale of the First Concerto are all played up with abandon and humor… the Andante of the Second with such superlatively touching, restrained and pliable lyricism that it must be heard to be believed. 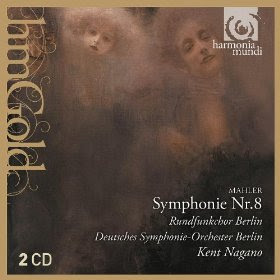 Rudel / LSO / Treigle, Domingo, Caballé et al. Arrigo Boito’s Mefistofele is one of my favorite operas; certainly one of my favorite Italian operas. Like many non-German treatments of the subject, Boito has no compunctions about going straight to Goethe for his self-written libretto. 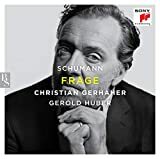 With Germanic sincerity (lacking, as Boito found, in Gounod’s Faust) and great admiration for Wagner, he tackled the daunting subject in a style that was well ahead of his time. If you wonder how important Boito and his advice were to Verdi’s last few operas, just check out Mefistofele! For years, there have only been two realistic choices among recordings: Julius Rudel’s EMI account (1973, Treigle, Domingo, Caballé), and Oliviero de Fabritiis’ on Decca (1985, Ghiaurov, Pavarotti, Freni). Riccardo Muti’s recording from La Scala (RCA, 1995, Ramey, La Scola, Crider) was in and out of print so fast it never quite registered; ditto Giuseppe Patané’s Budapest recording (Sony, 1988, Ramey, Domingo, Marton). Everything else is either old, pirated, or negligible. Only this year did Naxos add an account from Palermo to this (also available on DVD from Dynamic). I grabbed the excellent Decca account when it was re-issued a few years back, but the EMI recording still reigns supreme. 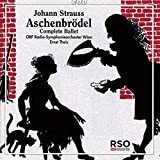 Not only is the swift and bold conducting of Rudel so much more entertaining than the languorously celebratory style of Fabritiis, the EMI cast also seems more dramatically involved and homogenous, rather than just concerned with sounding good. That goes particularly for Norman Treigle who simply does not sound as gorgeous as Ghiaurov in his prime, but whose embodiment of the role—especially when he starts whistling with gusto—just gels. How good to have it re-released as part of EMI’s “The Home of Opera” series.